At the market. 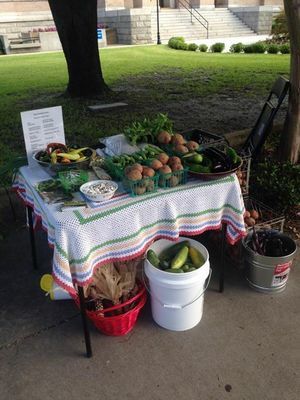 Come down and get fresh produce. This entry was posted in Corn, Okra, Okra Paradise Farms and tagged Basil, corn, Cucumbers, Georgia, Gretchen Quarterman, Lowndes County, Okra, Okra Paradise Farms, Valdosta, Valdosta Farm Days on June 27, 2015 by John S. Quarterman.